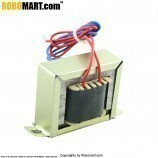 It is a general purpose chassis mounting mains transformer. Transformer has 240V primary windings and centre tapped secondary winding. The transformer has flying colored insulated connecting leads (Approx 100 mm long). 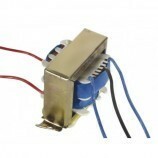 The Transformer act as step down transformer reducing AC - 240V to AC - 12V. Features of 0-12 3Amp Transformer. Applications of 0-12 3Amp Transformer. DIY projects Requiring In-Application High current drain. Also Searched as :0 - 12 Transformer - 3A, 12 volt transformer,0-12v transformer online india,12v 3a transformer price,0-12v 3a step down transformer,step down transformer 0 12v 3amp.